Duke and Tess had a fantastic morning walking. They were very excited to see their walker, as well as their friends Ozzy and Roxy. The people in the traffic were happy as ever to see the pups walking past and getting a good dose of exercise in the morning. Duke was very excited about life, while Tess showed a more calm attitude, while enjoying the walk. Johannesburg is a wonderful place to walk, for dogs and humans too, because there is always something interesting to see. The dogs always enjoy their walks, and look forward to the next one as much as we do! We all love our pups because they’re special, each in their own way. Did you know that dogs are actually able to smell disease? If your canine chum is acting strange there might be nothing wrong with them – the problem could be with you. Research at the Schillerhohe Hospital in Germany found dogs have an incredible ability to recognise the smell of a range of organic compounds that show the human body isn’t working as it should. That means your dog can actually diagnose diseases such as cancer, something scientists are eager to explore further, as well as diabetes and the early signs of an epileptic seizure. 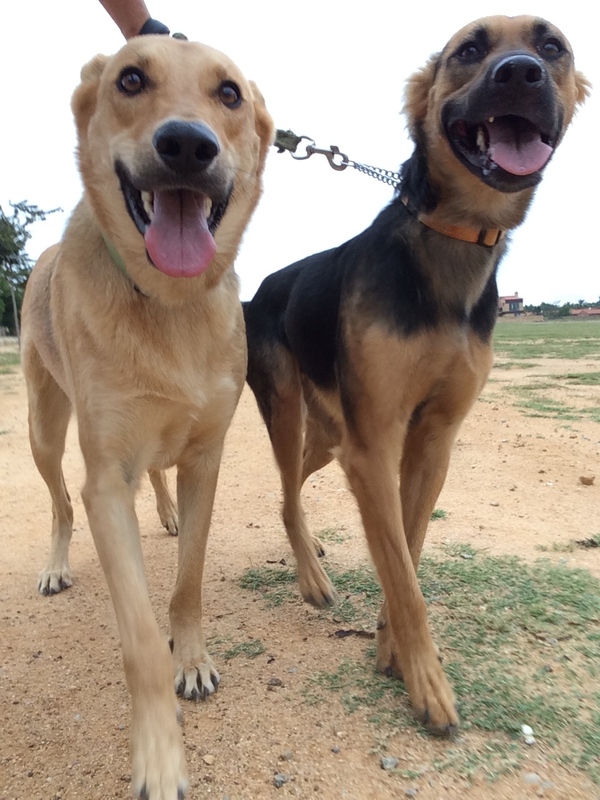 This entry was posted in Dog Walking and tagged #YourHound_SA, animals, city streets, Dog walking, dogs, Early mornings, entertainment, exercise, fit, fun, Happy Dogs, healthy, Johannesburg, Socializing. Bookmark the permalink.